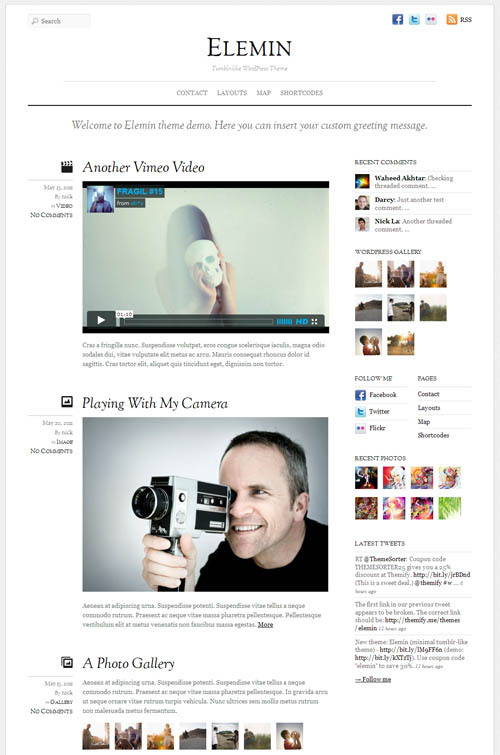 This is a collection of 10 excellent WordPress blog themes with mobile responsive designs for bloggers. A responsive WordPress theme is built to automatically adapt its design to look great no matter what screen size or device is being used to view the site. This means it will work and look perfect on all desktop browers, iPhones, iPads, and any other tablet, smartphone or mobile device. Responsive web design is a technique that uses CSS3 media queries to alter how pages look depending on the device accessing it. That is, there is one HTML code for the page regardless of the device accessing it, but its presentation changes using CSS media queries to specify which CSS rules apply for the browser displaying the page. Responsive design is Google’s preferred method of building smartphone optimised websites. This is because a site using responsive web design: 1) uses a single URL for both desktop and mobile content, making it easier for users and Google’s algorithm to index, and 2) Google can discover your content more efficiently. The other advantage of using a responsive WordPress theme over other alternatives such as mobile plugins or separate mobile versions, is that its gives your website a consistent look and feel across all devices. With the explosion of smartphone use and people accessing the web on mobile devices it is important to take mobile web design seriously and ensure your blog is ready for mobile viewers. 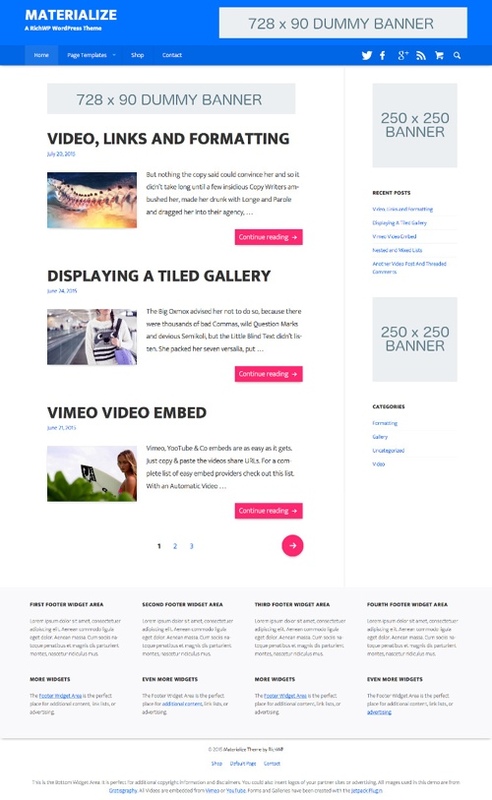 Below are 10 fantastic responsive themes for your WordPress blog. Genesis is an advanced, fast, flexible and secure WordPress theme from StudioPress. The Genesis Theme is highly optimized with state of the art code and smart design architecture. It has a mobile responsive design and also includes convenient inbuilt layout, design and SEO options. 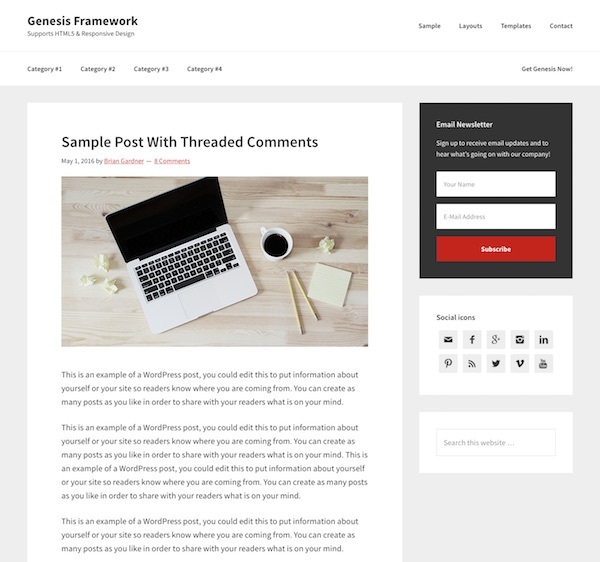 The Genesis theme can be used straight out of the box for a clean minimalist blog, or easily extended with the many beautiful child themes (designs) available from StudioPress and other developers. Using a framework / child theme system like Genesis is smart from a “future proofing” and SEO perspective because you can radically change the look of your site, every week if you want to, and you’ll never lose your content or hurt your search engine rankings because the design is kept completely separate from the core theme framework code. Genesis makes it easy to customise and manage your site with lots of inbuilt features such as mix-and-match layout options for individual pages or posts, custom widgets, automatic framework updates, comprehensive theme options panel, custom widgets and much more. The theme has been fully search optimized, and the clean, efficient code ensures your website and its content will achieve the best possible rankings in the search engines. Genesis also follows all WordPress security best practices and is audited by the WordPress Lead Developer to ensure it has the best security possible. 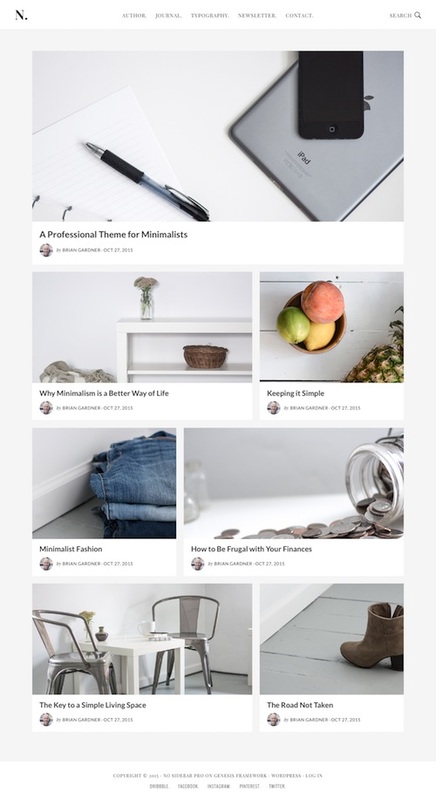 MasterBlog is a very clean and minimal responsive blog WordPress theme ideal for personal and professional blogs. The premium theme from RichWP has a bold, modern design with big featured images and large typography to make your content stand out. 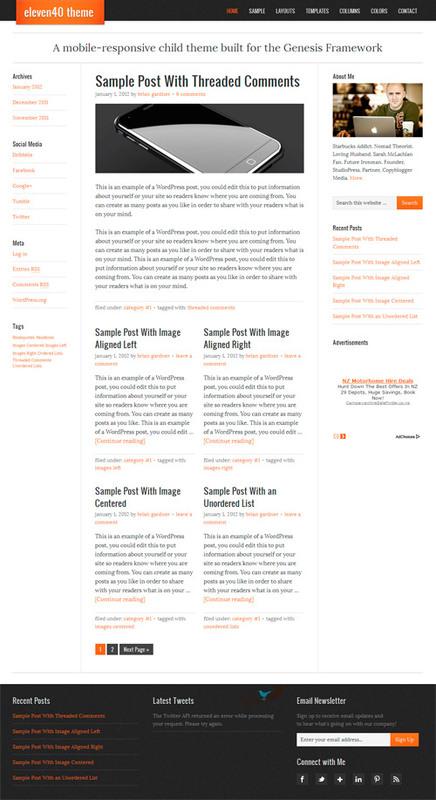 This theme is also very wide with a width of 1180px which fills large displays nicely for a professional look. The responsive design means it also scales down automatically to fit and display perfectly on tablets, smartphones and all other mobile devices. The Master Blog WordPress theme has some cool features including a sticky navigation menu which sticks to the top of the screen as you scroll down the page, and fading in next / previous navigation buttons. Some of the other features include an optional feature posts section, support for WordPress post formats, useful custom page templates, various widget areas through the theme, built in options to easily add your own logo, change the lead and menu colours and more. 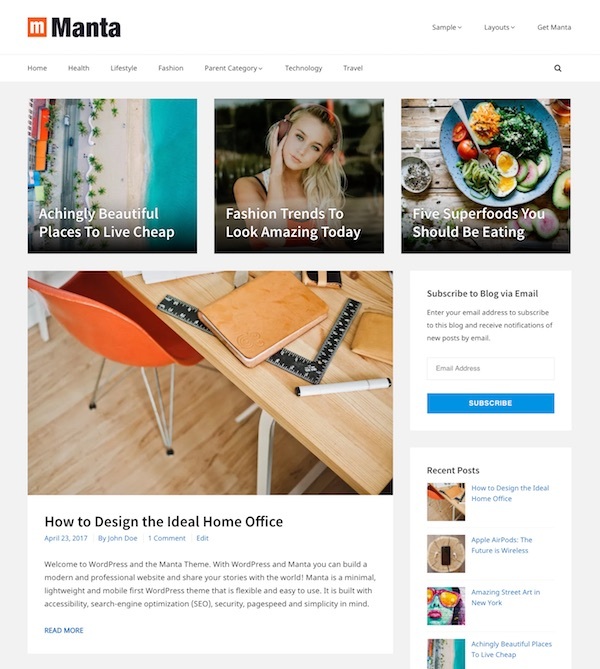 Personal is a super clean, minimalist WordPress theme designed for writers, journalists, bloggers and videographers to house their content in style. The premium theme from Obox has a customisable, content-first design to promote your writing, videos, portfolio items or other items without distraction. The theme has a flexible homepage layout with a simple drag and drop widget system to give you endless layout possibilities. You can have as many content categories in different layouts and orders as you like on the homepage. The Personal theme has a heap of other great features including: a visual customizer to make changes to your theme without needing to code, Obox Typography Manager to change all the fonts, social links and social widget, custom background, logo and menu options and much more. 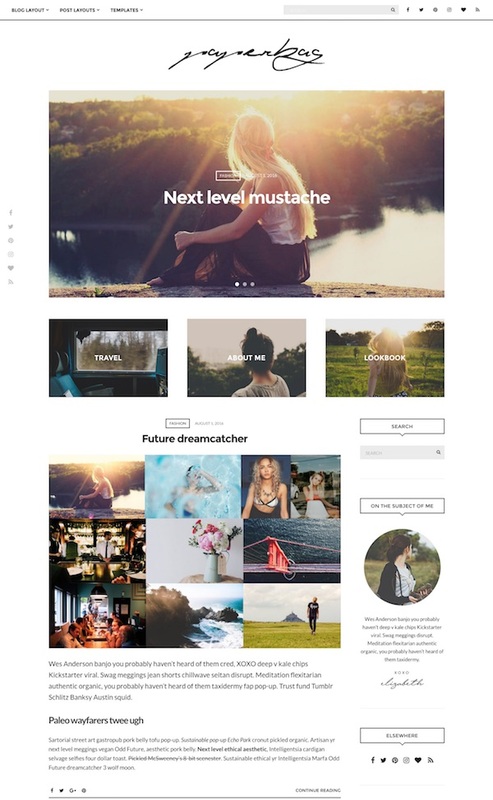 A stylish minimal and responsive WordPress premium theme from Themify. The theme has beautiful typography, good white space balance, and minimal graphics. The design is completely fluid and responsive, meaning the layout automatically adapts based on the user’s viewport. It works on all desktop and most mobile devices such as iPhone, iPad, Android, and Blackberry. Other features include list view or multiple grid view layouts, WordPress post formats support, 11 colour skins, comprehensive options panel and more. A mobile responsive premium WordPress theme from StudioPress for the Genesis Framework. The theme has a clean, expansive design that extends 1140px wide with 6 other narrower content layouts in its responsive design. Features include 4 colour schemes, 6 post / page layout options, custom menus and backgrounds, featured images, extensive options and more.